In order to be a valuable partner in your projects, Intelligentia is always focused in providing quality solutions and valuable competences to your Project. 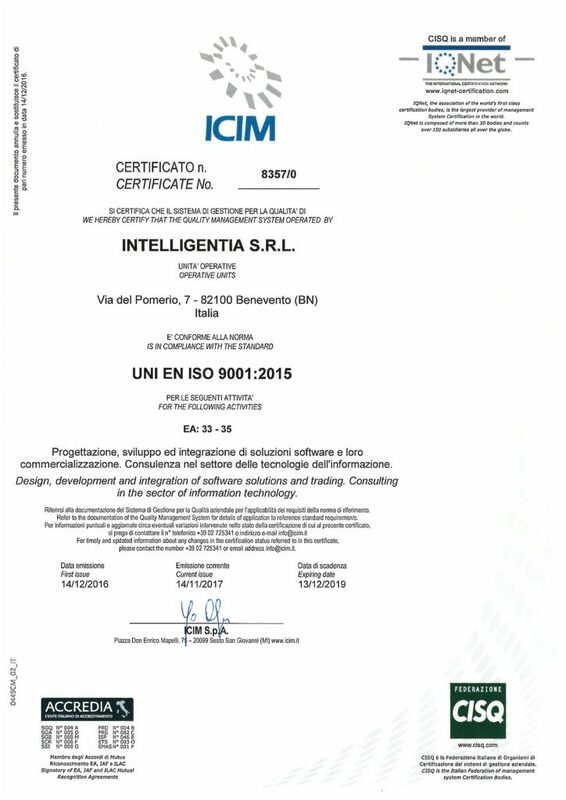 To demonstrate that we are able to support the most challenging projects, Intelligentia has been certified to be compliant with both ISO 9001:2008 and EN 9100:2009. We have a strong focus on the Quality of the things we do, starting from the relationships with the customer, to the internal process mangament, to the quality controll of the solutions we deliver to the Market. This standard is based on a number of quality management principles including a strong customer focus, the motivation and implication of top management, the process approach and continuous improvement. 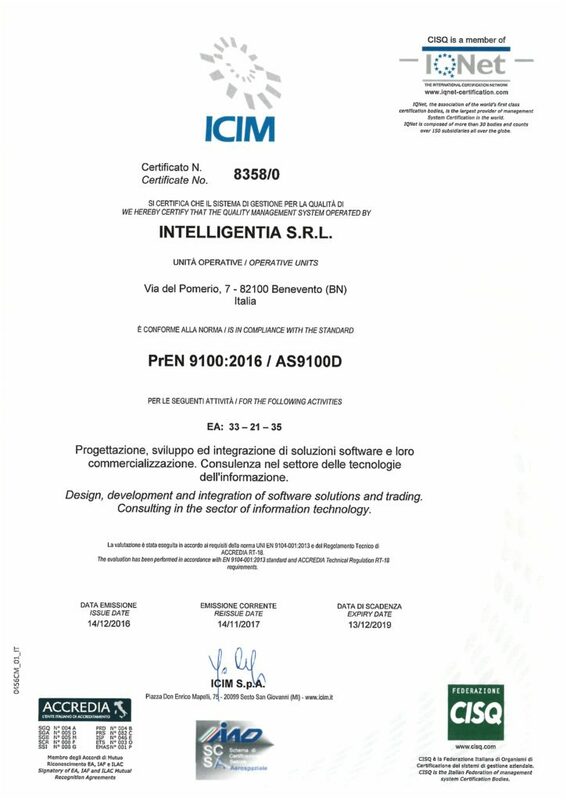 EN9100 is a standardized quality management system based upon ISO 9001 to provide international consistency in addressing specific regulatory, safety, and reliability requirements demanded by the Aerospace Industry.